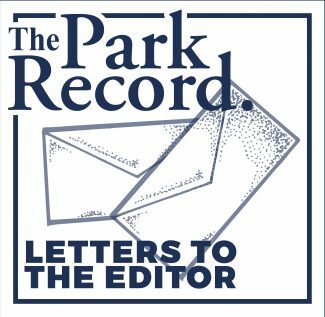 Eric Brown recently wrote a letter to the editor questioning Park City's wisdom of buying electric buses and then powering them with energy generated by coal-fired power plants. I have heard this concern before, and because Net-Zero is one of Park City's critical priorities, I wanted to explain. City Council recently approved replacing seven diesel buses that are reaching their end of life. Because we are buying electric buses and our transit department is superb at navigating renewable energy grants, Park City is only paying $1 million and the other $4 million in cost is being covered by the Federal Transit Administration and UDOT. We will continue to save money because the electric buses are cheaper to run and easier to maintain than their diesel counterparts. Even if these buses were powered from coal plants, they would still result in a dramatic reduction in local air pollution and noise (for both riders and neighborhoods). However, in 2017 Park City Municipal was already getting 50 percent of its electricity from renewable sources, utilizing Rocky Mountain Power's Blue Sky program. But the news gets better. Construction of a new, large-scale renewable electricity facility is tentatively scheduled to start in late 2019 or early 2020. When completed, this will provide Park City Municipal with 100 percent of its electricity from renewable sources, including powering its bus fleet. We are actively working with Rocky Mountain Power, as well as Summit County, Salt Lake City, and Moab, to draft legislation for the 2019 legislative year to allow Utah communities to source all of their electricity from renewables. The buses we are buying now are significantly cheaper, quieter and cleaner. Our electric fleet, over the projected 12-year life of a bus, will be driven almost entirely by clean, renewable energy. Our hope is that over time Park City can also find reasonable electric versions of everything from golf course mowers to snow plows. 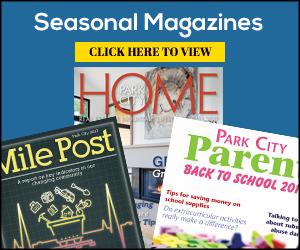 Park City has an incredible opportunity to be a small town making a huge difference, all while saving money. Utah is known as the Beehive State, not only because of the industriousness of Mormon Pioneers but also because it is home to over 1,000 bee species. According to a PubMed article released on November 7, 660 of those bee species were found in Grand-Staircase Escalante National Monument and were studied over a four-year time frame. Until recently, protection has been available for the bees found in GSENM. However, the Trump administration, along with many of our Utah representatives in Congress, are trying to strip away the protections of our beloved national monuments, including our newest treasure Bears Ears National Monument — often at the expense of bees. If Utah wants to be known for its beehives, winter sports, national parks and national monuments, it needs to put more effort into protecting the delicate ecosystems which create the Life-Elevated they are trying to sell. Small Acts of Kindness. In 1982 I was newly divorced single mother of two boys, 8 and 12. I was working the front desk as night auditor at the Ogden Hilton. I was making $4.25 per hour working 11 p.m to 7 a.m. A man checked in and before he left the front desk, he handed me a $100 bill. I will never forget him and I do not know his name. However I still can see his face in my mind's eye. This changed my life forever and when I had money as I traveled the world and here at home, I would give $100 bills and sometimes less to those who are working at the front desk of a hotel or some other place. I try to remember what a little act of kindness can do in someone's life. In response to the letter from Eric B. Brown ("A misguided mission," Nov. 17-20), the author missed one very important fact about electric vehicles. His basic premise is that by replacing diesel buses with electric buses, "the only thing that has changed is that we have shifted the site of the emissions (to coal fired power plants)." His analysis fails to account for the greater efficiency/reduced energy consumption of electric motors. They have only several dozen moving parts compared to the thousands in internal combustion engines; much of the energy of the latter is wasted overcoming internal friction and compressing gases for combustion. A good rule of thumb is that electrics are about three times as efficient as internal combustion motors — that is, they have about a third of the carbon emissions. That's why, for example, a Tesla S has an EPA rating equivalent to 108 miles per gallon while generating 547 horsepower. Mr. Brown does a disservice to the community by saying that the electric buses are just a politically correct solution to achieve sustainability. It was early on Saturday afternoon. It was cold and cloudy. What to do? I heard a promo for Park City High School's "Mamma Mia!" I haven't been to a high school musical in probably 60 years. I said to my wife, "Let's go check it out." Wow! We were absolutely blown away. This is one of the most enjoyable afternoons we've spent in Park City. The talent and energy were simply amazing. Congratulations to the entire cast and staff for staging such a professional and memorable performance. I can assure you we will not let another 60 years pass between performances. On Thursday evening, Nov. 1, Park City High School hosted the Second Annual Día de los Muertos celebration. During the two months of planning, I reached out to many Parkites and local businesses. I have to say that the PC community responded beyond my wildest expectations and the event was a tremendous success. About 300 Miner students, staff and family members attended this wonderful cultural event promoting diversity and inclusion. I am overwhelmed by the spirit of community in this small town. Without your generous donations and unwavering support, this event would not have been so incredible. Notwithstanding the tremendous support from the Park City High School, its teachers, staff, students and family members, many local businesses also donated resources for the event. Due to space limitations, I am unable to mention all 59 family and 12 business sponsors/donors, but suffice it to say, if you eat Mexican food, buy Mexican groceries, or shop at a local supermarket, you are most likely patronizing establishments that support our community. Thank you all to all the sponsors, private and corporate, for supporting Día de los Muertos at the Park City High School. It really is a blessing to live in this caring community.